But she is special. She’s special to us. 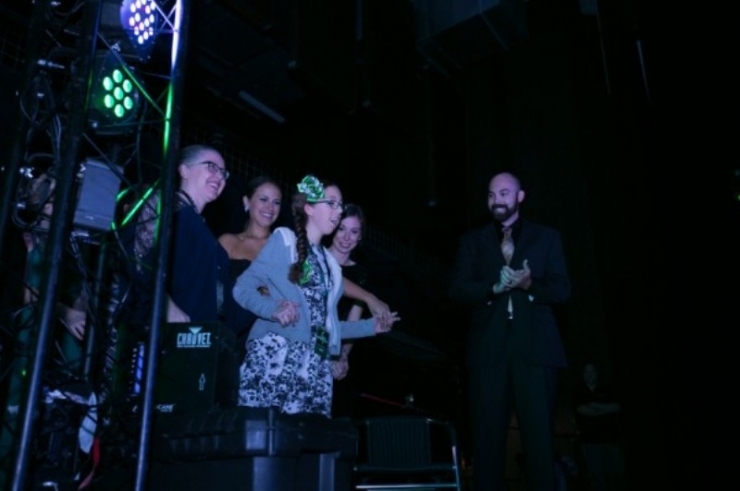 And she still has absolutely no idea what she’s doing at the 3rd Annual Chive Charities Gala. Let’s back up. A few weeks before this moment, we were in a team meeting when we read Abigail’s story. Hers was a unique one. 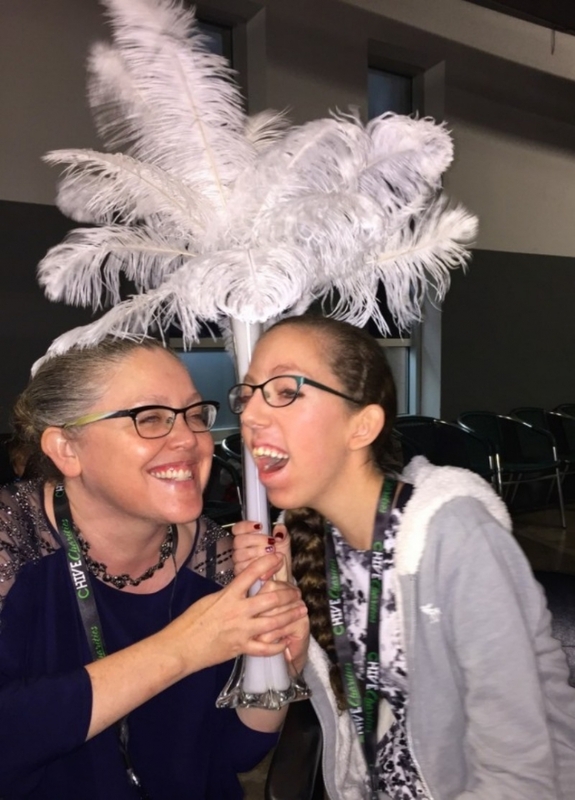 Abigail’s diagnosis is so rare, it took doctors 15 years before they could narrow it down to this: Centro-nuclear myopathy with no known underlying cause. Abigail’s muscular movements almost mimick Muscular Dystrophy, with Abi’s body responding slower to commands than her brain can issue them. She is not cognitively affected whatsoever, in fact, quite the opposite. This makes Abi feel a great frustration towards the gap between her two selves. We read her application, about how she just started high school this year and has had trouble making friends. That’s something that hit home for all of us. At a time in life where all anyone wants to do is fit in, it's difficult to remember that what makes you different - also makes you special. Because it is dangerous for Abigail to walk for too long without her scooter, she has to bring it to and from school every day. So every single day, to fit it in the back of the Toyota Camry, Lisa has to dismantle it into 4 pieces. Every day, multiple times a day. Apart from the physical toll this took on her, it also causes her serious anxiety about the future. Her insurance only approves one scooter every five years, and Abi was only on year 2. If they were to keep taking it apart all the time, it would mean that there was an increased chance it would break before Abi could get a new one. And if that happened... they would be in real trouble. 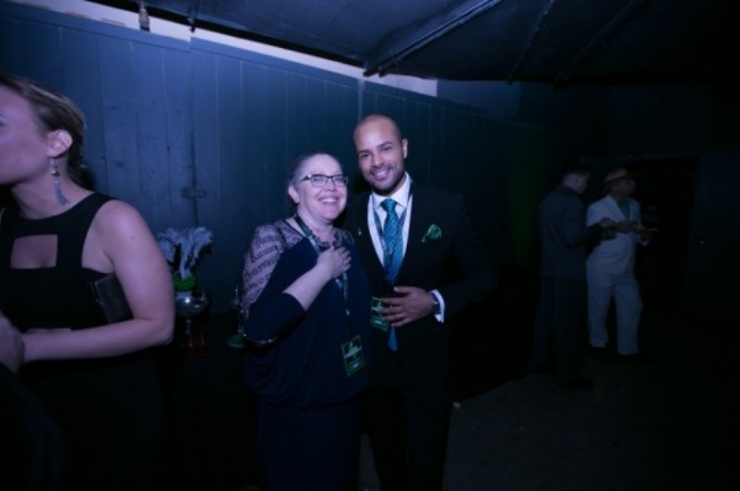 Abigail arrived at our Green Gala in Austin, TX, without any idea of what to expect. 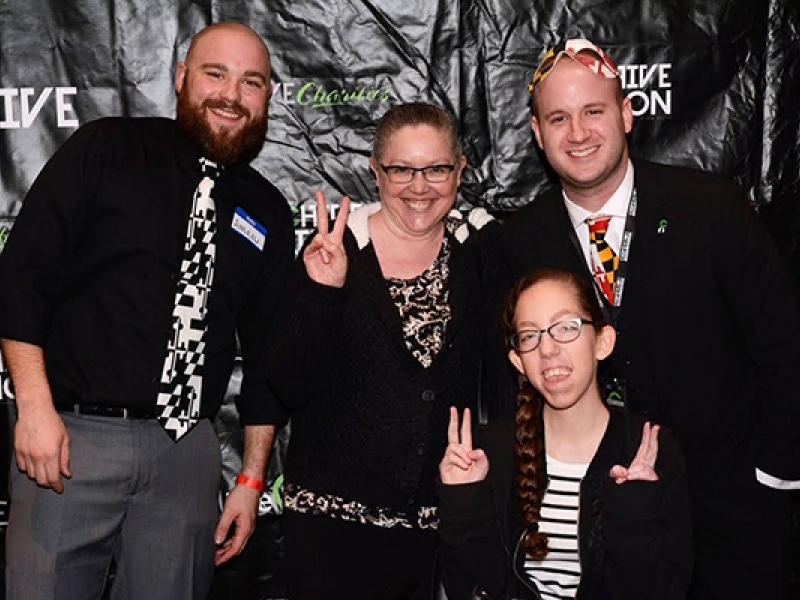 She was immediately immersed in the world of Chive Charities: the excited and compassionate crowd, the Chive Charities staff and rest of the CHIVE team treating her like a celebrity, meeting the other incredible human beings that have been helped by this community. 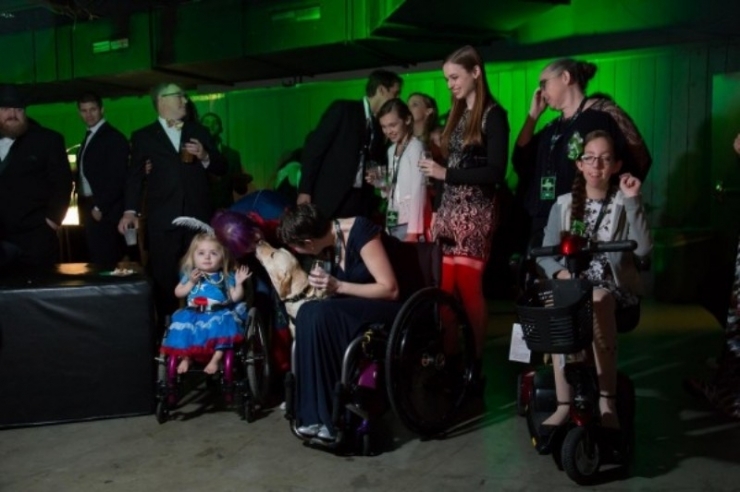 From left, Zoe Lush, Pearl Gannon with her therapy dog Scarlett, looking on in the back are Audrina’s older sisters, and then on the right, our newest member of the Chive Charities family: Abi. Lisa chats with Executive Director Brian Mercedes. 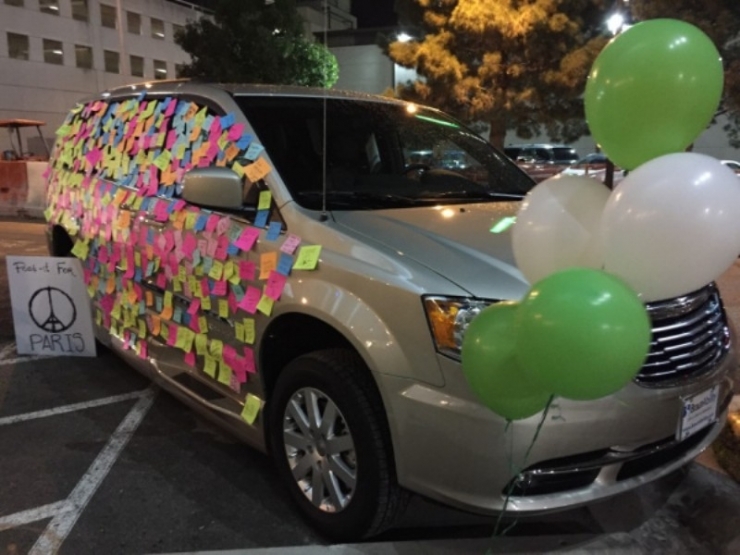 Although they still weren’t sure what to expect - they didn’t have to be in the room for long to realize that Chivers’ wishes are pretty simple: To make the world 10% happier, and to have some fun. And Abi told me it was a really fun night. 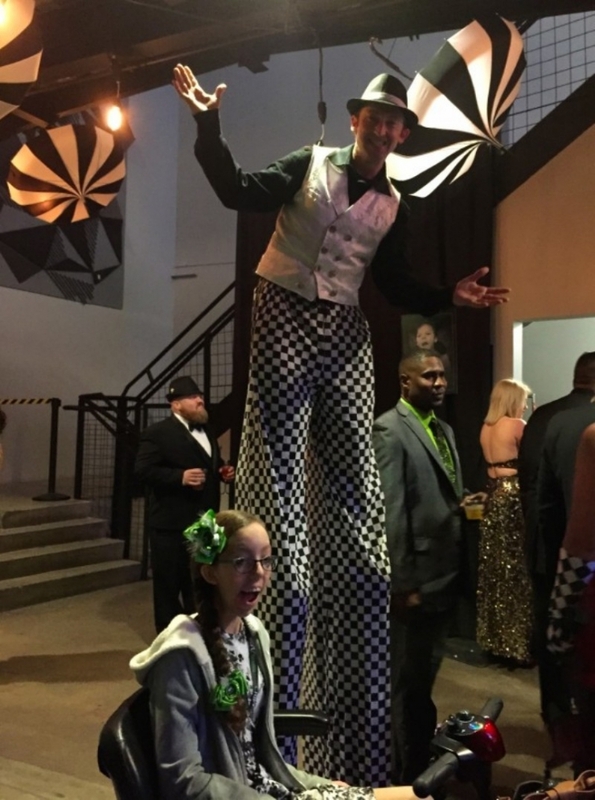 Abigail and mom Lisa had some fun with the Parisian Circus theme of this year’s Gala. A few hours into the Gala, John took the stage. Immediately, it was quiet. 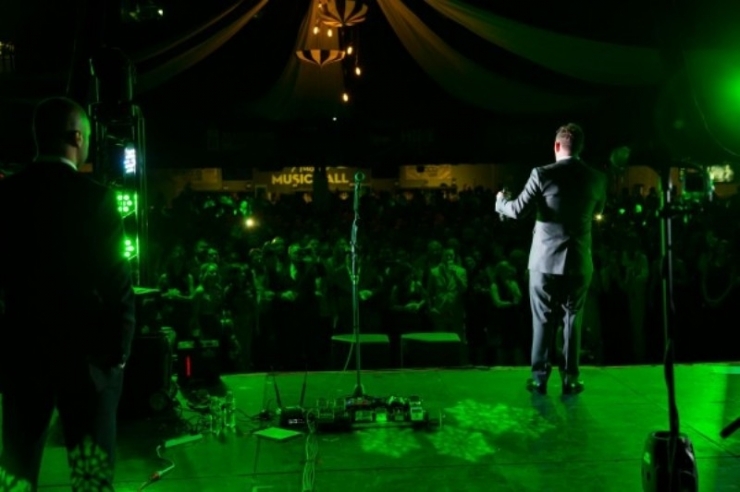 One lone spotlight illuminated him as he expressed his gratitude to Chive Nation for what they’d accomplished this year. 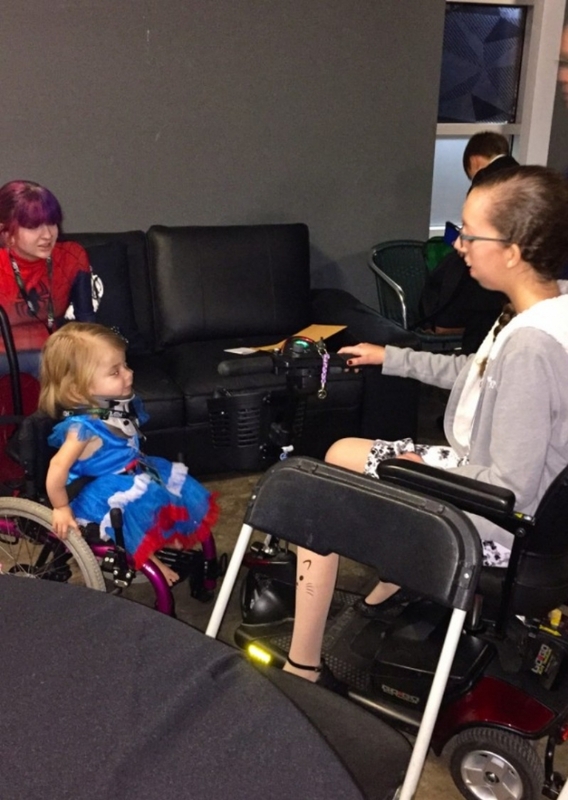 It was because of you… he told the crowd… that we now know what Osteogenesis Imperfecta is. It is because of you that Zoe’s life is changed. Abi didn’t know at the time that we planned on changing her life in a matter of minutes. You could barely hear what he said next over the roar of the crowd. 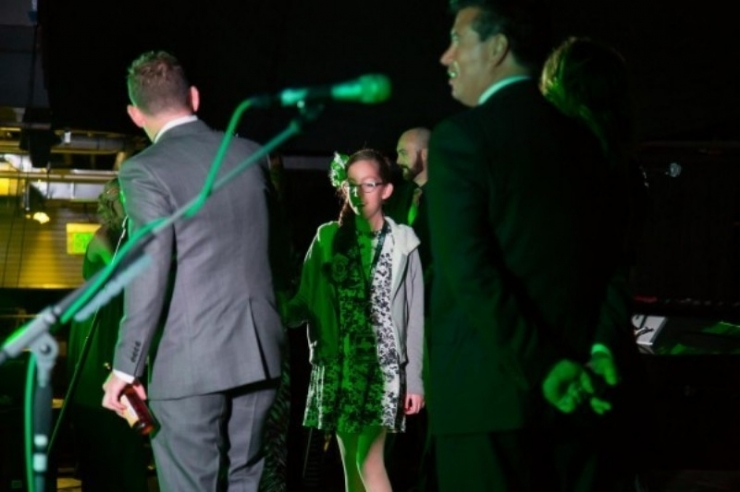 But John announced that we had a surprise tonight, and he called Abi onto the stage. Abi let go of my hand and began to walk towards him. She still had no idea what was about to happen, but she knew she was only a few steps away from finding out. This was the moment we announced live on stage that the BraunAbility van parked outside belonged to Abigail. 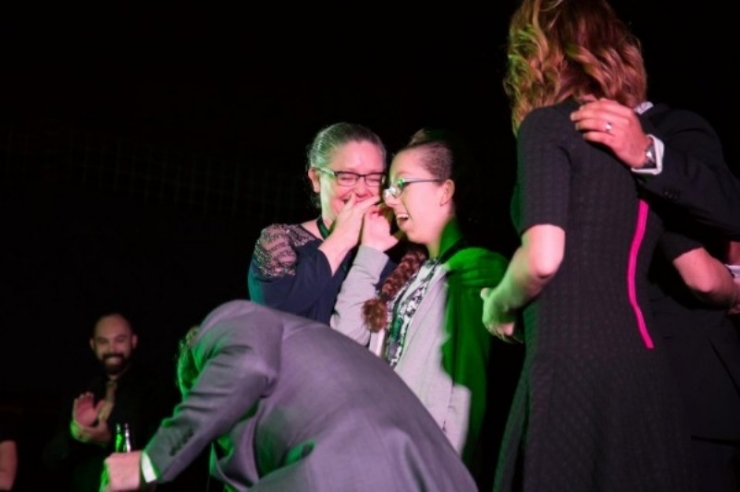 Live, in front of over a thousand people, Lisa realized that her worries about her daughter’s future melted away. This was the moment Abi’s life was forever changed. Now that Abi is back home and the dust has settled, it still seems surreal. Like at any moment - it could all vanish. But it won’t. The proof of that evening is now sitting in her driveway. 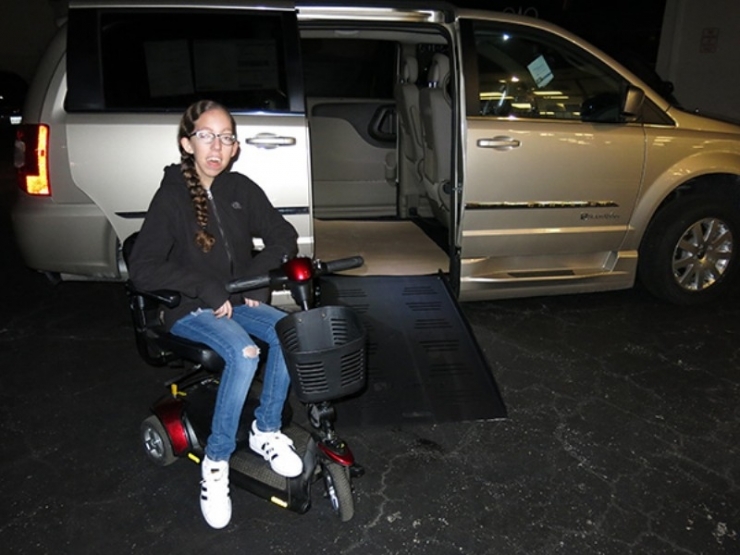 A wheelchair-accessible van - a comfortable and secure way to maximize Abi’s independence and minimize any danger and liability. 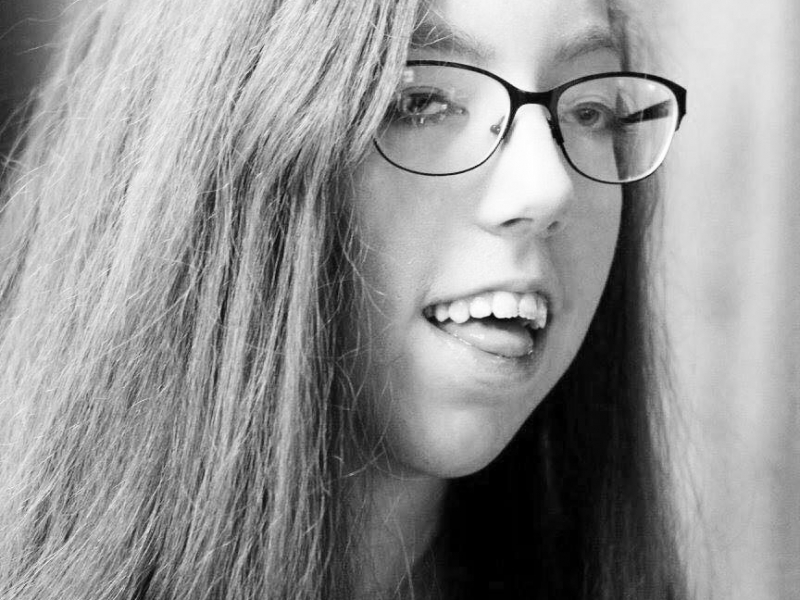 A $50,000 grant that made Abi's life 10% safer, 10% easier, and 10% happier. She might be back to her normal life, but Abigail is anything but a normal girl. She is smart, witty, beautiful, hilarious, and stronger than most. She has managed her diagnosis with bravery and grace. 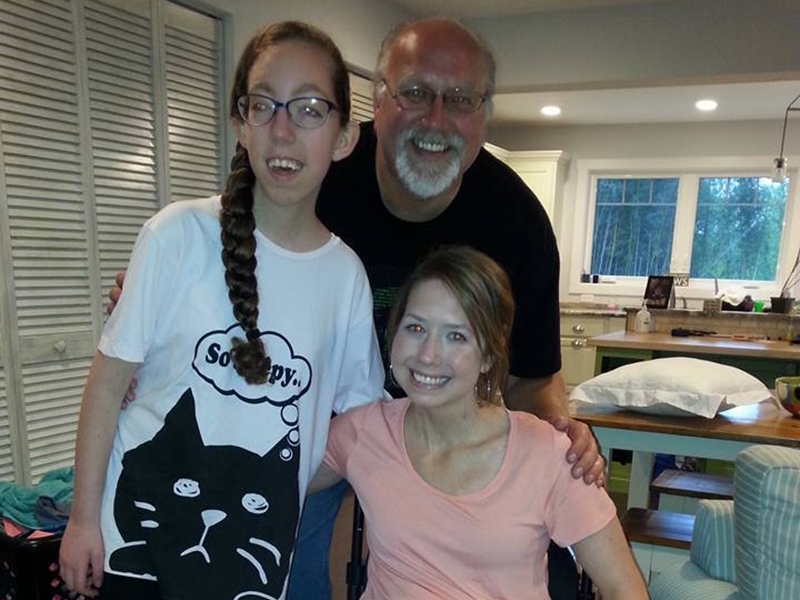 'Centro-nuclear myopathy' is a part of her life, but it does not define her. She defines herself. And now when she attends school and back everyday, she'll remember with a smile how one night she dressed up like a princess and her life changed in a matter of moments. And when she struggles to make friends, she'll remember that she just made 3 million of them, and those friendships will last a lifetime.